♥ Thank you for visiting Notable Affairs! Please READ EVERYTHING below. It usually answers most questions. By purchasing, you agree to all terms and policies. This listing is for ONE card to be designed for you with your wording/details. PROOF in 24 HOURS once order and wording have been received. 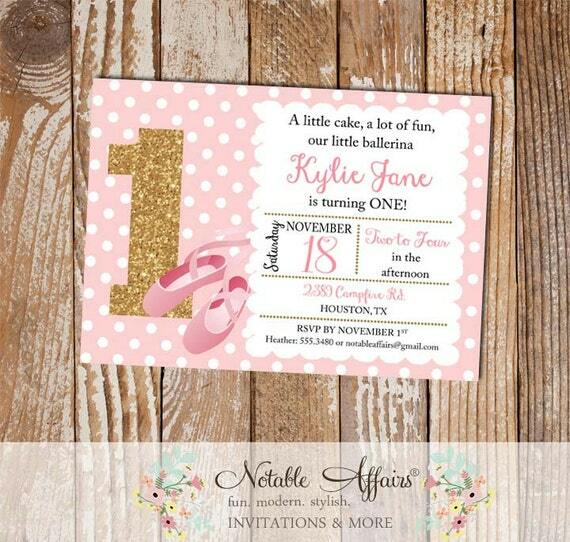 ♥♥ You can purchase the DIGITAL FILE or PRINTED INVITATIONS. ♥♥ Need a party package? See below for links to purchase. Add to cart, send wording, purchase, wait 24 hours for proof, approved file is emailed or printing begins. h. Color Changes - Most invitation colors can be changed. If it's possible, the color sheet will be in the listing as the 2nd or 3rd picture. **You can also email the wording/details to: notableaffairs[!at]gmail.com (My email is spelled very tricky; it’s not “note”able). Sit back and wait 24 hours for your proof to be sent. Then changes can be made if needed. Once your card is perfect, I’ll send you a high quality, full resolution (300 dpi) copy of your card as a jpeg or pdf only. You will receive TWO FILES: the individual card AS WELL AS two cards on a page. See below if you'd like me to print for you. Once the file has been emailed to you, it’s time to print. Want to make it even easier on yourself? Notable Affairs can take care of the printing for you if you'd like. Invitations are printed front side only on 100lb white matte cover cardstock and come with plain white envelopes. Backside and envelope printing is NOT offered, neither are printed address labels. Printing takes up to 3 days (usually 1-2 days) before shipping (not for wedding orders). Once shipped, orders typically arrive within 2-4 business days for USA orders. Outside the US? Contact me for a special listing and shipping quote. *Other printing options: you can print on photo paper at a photo store (CVS, Walgreens, Walmart, etc. ), on white cardstock at an office store (Office Depot, Office Max, Staples, Kinkos, UPS, etc.) or at home. ♥Once proofs are sent, NO refunds are given because I’ve already designed the card for you. After approved files have been emailed (jpg or PDF), NO more changes can be made, so please double check all information on your card. ♥I do not reveal fonts I use on the invitations in order to protect my designs, and I also do not send out graphics alone. No exceptions. By purchasing, you understand and agree to all policies. ♥I do not send out blank files for you to fill in your own information. In order to protect my designs and creativity, I will do all of the customization for you, and then just email you the finalized high resolution (300 dpi) jpg or PDF ONLY. No other file types are sent. ♥These files are for personal use only. You may not forward, share, sell or distribute the file in any way. It is for non-commercial use only. Some graphics have been purchased from third party sites to create designs. ♥Once you approve the design, you will be sent two files: the individual card as well as two per page. I usually send them on 8.5x11 pages, but if you need A4 please let me know when you send your wording. I look forward to working with you on your next "Notable Affair!"